The ICT Database Team is pleased to present a brief overview of the terrorist incidents and counter-terrorist actions that occurred worldwide in March 2015. 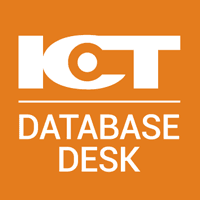 The incidents covered in this month’s report join the over 35,000 previously-recorded terrorist and counter-terrorist incidents in the ICT database. This month’s report covers terrorist incidents throughout the world, with special emphasis in specifically in Tunisia. On March 18, 21 people were killed and 50 others injured at the Bardo National Museum in Tunis, when three suspected IS gunmen, who were dressed in military fatigues, launched an attack targeting tourists outside the museum. Witnesses said the tourists tried to run towards the museum but the gunmen pursued them and took them hostage. After several hours police stormed the building and attempted to rescue the hostages, many of whom were European tourists. Tunisia's Interior Ministry released security camera footage of the attack showing two gunmen walking through the museum, carrying assault rifles and bags. Tunisian authorities said they killed two of the gunmen, who they identified as Tunisian citizens Yassine Labidi and Saber Khachnaoui. Authorities said the third attacker escaped. Tunisian authorities believe the gunmen were trained in Libya. Tunisian authorities arrested 29 people in connection with the attack. The IS claimed responsibility for the attack. March 2015 was also marked by terrorist incidents in Egypt Iraq , Israel and the West Bank Libya, Mali, Nigeria, Somalia, Tunisia and Uganda. On March 5, Abid Naseer, 28, was convicted in New York for his role in an al-Qaeda plot to carry out terror attacks in Europe (Specifically in Denmark and UK) and the US. He was found guilty on three charges of providing support to al-Qaeda. He faced a life sentence in a maximum security prison in the US. 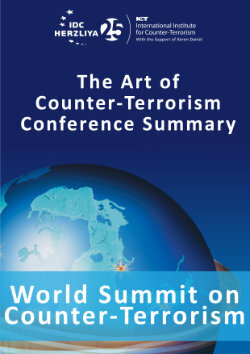 March 2015 also marked by counter-terrorist incidents in: Canada, Ceuta, Chad, China, France, Kenya, Lebanon, North America, Nigeria, Philippines, Spain, Tunisia, Turkey and United Kingdom.